An awesome place for awesome people. Tomorrow, I have to write a one hundred page essay about my future career, in French. I’m not very good at French. Neither are most of the people in class. So how are we expected to write about our future? In reality it will likely be some completely half assed and insincere bit of trite which any teacher has seen a thousand times before. In class I often feel like I’m trying to shovel my snow filled driveway with chopsticks. Long story short, I am very inept at the subject. And should I be? I’ve been in French for almost five years at this point. I can barely hold a basic conversation and I mix up the three verb tenses we’ve learned. But perhaps this goes deeper than my lack of knowledge in French vocabulary. Thinking about the future requires a great amount of abstract thought, even in English. 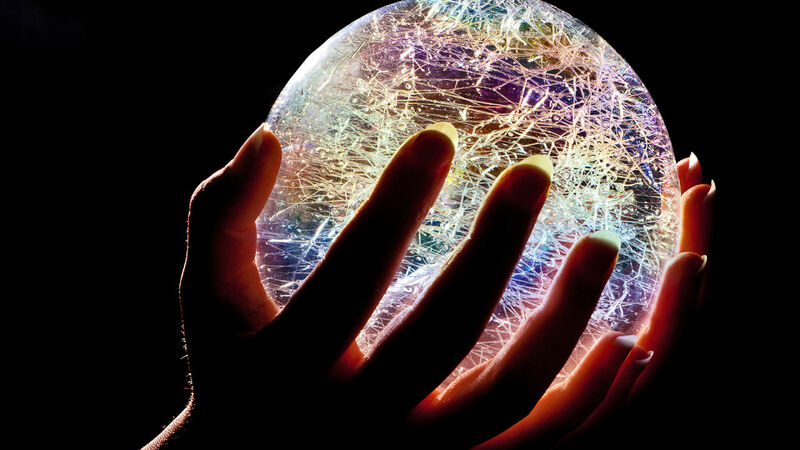 People have made businesses out of preying on everyone’s desire to know the future. But it is almost impossible to know the future, saving for some inevitabilities. Benjamin Franklin once said “Two things are inevitable. Death, and taxes.” However old Benny could never pinpoint more specifics beyond that. Would the United States win the war? Would his wife find out about his affairs and syphilis? Yes, and also yes. Trying to predict life is like trying to predict the correct turns of a labyrinth. You could be correct, or you could take a wrong turn and be so, so very wrong. The old adage goes something like if an unstoppable force and an immovable object collide, what will happen? It’s a question I don’t have an answer for. My fellow students and I probably have a few things planned for the future. Some plan their day to day life based on what will look good on a college resume. Others prefer to look to the short term, filling the holes of questions without answers with temporary creature comforts. There is little room for thought and doubt when watching hit show Orange is the New Black. I routinely look out my window and pretend I’m gazing out of my studio apartment in New York, the dull roar of the subway oddly comforting. Will I ever live in New York? I’m have as much of an answer for that as I do for the immovable object and unstoppable force. Times of contemplation for me come when I am alone with my thoughts. I sit and I think about the people who I keep in my life. Sometimes I’ll send them a message on my phone. Sometimes they’ll respond. Other times the message will sit dormant and unreplied. It’s in times like this where I really reflect on mediocrity. Of myself, am I not good enough to be heard by friends? Of friends, are they taking life on a different path? Of life, it seems ultimately futile. And yet, there is a part of me that believes that all the strife and struggle of life will one day bear fruit. One day I may sit under an old oak tree and realize the pain of humanity has been worth it, for I have someone sitting next to me who’s company I enjoy. The reality of the situation is that humans were not given a goal when we were put on this earth, other than reproduce to keep the species alive. In truth, that is an easy and basic goal. It’s a simple goal. Life should be more than that. It should be more than just the basic task of continuing the species. Help the world, or make your mark on it. Become vastly successful, or be a part of something greater. Money is a simple goal, but one that at least commands some respect. As I sit and watch the roads that many people decide to to take, I wonder about their goals and their minds. Are you doing math club because you want to, or because you want to have something that appeals desirable to someone else? Do you find soccer enjoyable or are you just going through the motions? The future is what anyone makes out of it. I want to dream big, and enjoy myself in the process. I don’t intend on doing something I detest to placate someone else. Life is too damn short for that. So my future will be determined by me, I am the harbinger of the wicked and terrifying unknown. And I’m okay with that. Now, how am I supposed to express that in French? "Gather ye rosebuds while ye may, the same flower that smiles today, tomorrow will be dying." What you read here is born out of passion and a desire to make a voice heard to the world. I hope you enjoy your time. Are Any Songs From Weezer’s Teal Album Better Than the Originals? Okay, Can I Talk About Love Simon Now? Anonymous on Okay, Can I Talk About Love Simon Now?